COOLIN’ AND POOLIN’. 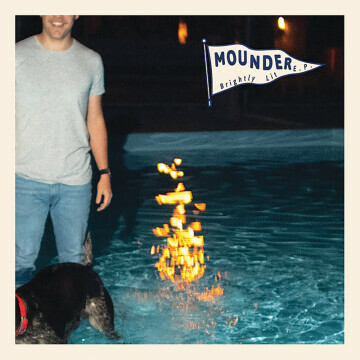 Graham McCullough is the brains behind a new pop project called Mounder, where he enlisted tons of notable musical friends for his debut EP. Growing up in the Chippewa Valley, Graham McCullough was into music like a lot of us. 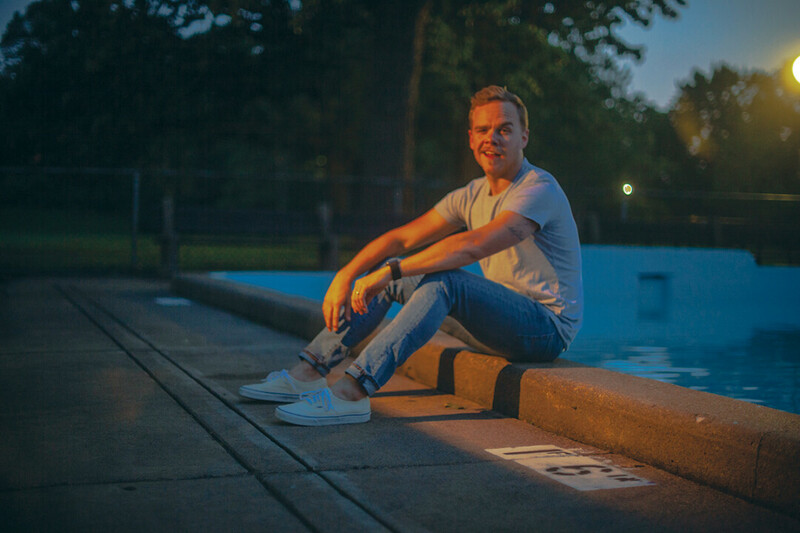 As a teen, he made some charming indie tunes with his band Innerburst, but pretty quickly, real life caught up. He went off to college, graduated, moved to the Twin Cities, got a good job, married his wife – and music wasn’t really a big part of his life anymore. And for while, that was that. But soon enough, the urge to make some tunes started creeping back up. He was convinced that the career and the lifestyle were the keys to a fulfilling existence on this earth, but eventually it started to feel like that wasn’t enough. So McCullough dusted off his guitar, programmed some electronic drums on a pocket-sized synth, and made some songs. Skeletons of songs, he called them. “I didn’t have the direction in my head to say exactly what I wanted to say,” McCullough said. So he called in some help. With a few scratch recordings and demos in hand, McCullough pulled together some of his most talented pals to form a tried-and-true supergroup. Karl Markgraf (Drop Diamond), Pat Keen (Pat Keen, Humbird), Dave Power (Moon Ruin, The Staves) and Andy Hofer (The Gentle Guest) – all of whom have their own notable music careers – stepped in to finally make his project a reality. McCullough – an Elk Mound native – called it Mounder. For most of the year, the band is spread out across the country in Minneapolis, New York, Madison … but for all of them, the Chippewa Valley is home. The stars aligned this past Christmas when everyone was in the area for the holidays, and McCullough had to seize the opportunity. The band got together and laid down five tracks with Leo Strei – another old Eau Claire friend – at his Minneapolis studio, and the brand new Brightly Lit EP – an undeniably catchy collection of luminous pop songs – was born. The songs that make up Brightly Lit come from different timelines. “SKI HAUS,” a folky homage to drunken nights McCullough wrote years ago in a different form, is maybe the oldest. But here it takes new life with slide guitar, backing vocals, and a slithering bassline. The album opener, an immaculately shiny pop tune called “Real Time” starts with a guitar riff that’s been bouncing around McCullough’s head for half a decade – but when the stuttering electronic drums and synth bass hit, it becomes something really special. For the somewhat disparate way the songs came into being, they do, strangely enough, share an emotional thread. Brightly Lit, for the most part, is about the throes of mid-twenties adulthood, finding a purpose, stumbling around looking for fulfillment. And for McCullough, finally getting these songs out into the world is uniquely cathartic. For someone who thought he had it figured out, a creative project like this is a surefire signal that maybe there is always more out there. Maybe you’re not supposed to have it all put together. Maybe the real joy is in the process. And with Mounder, that process is fruitful. Life goes on anyway.